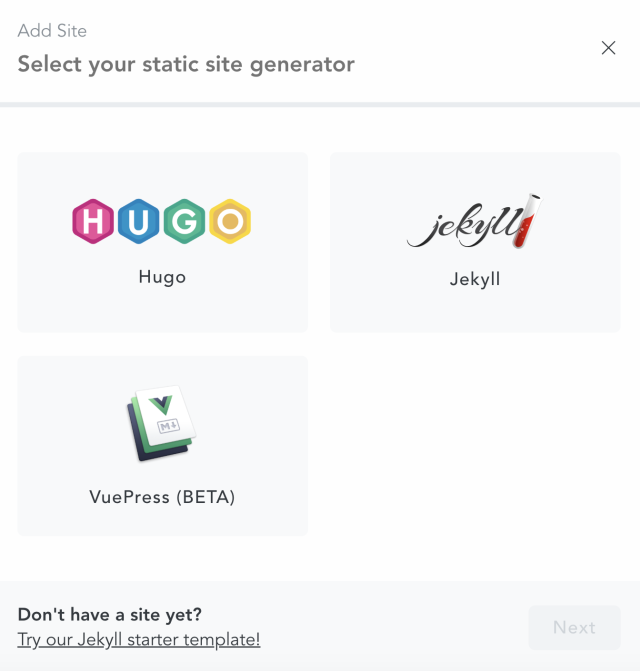 Support for Static Site Generators (SSGs), beyond Jekyll and Hugo, was on our roadmap for a while now. In fact, Jordan mentioned adding other SSGs to Forestry back when our first beta was leaked on Producthunt two years ago. Why did you make us wait? 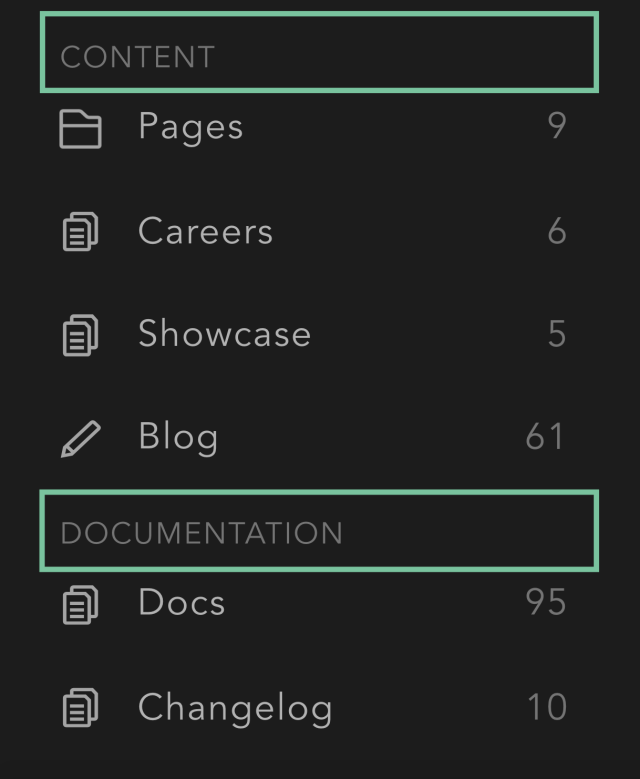 We love to create a great content management experience and make an app that is as easy-to-use for developers as it is for editors. That’s why until now other features (e.g. blocks, cloudinary integration or editing in teams) were given priority. Why VuePress? VuePress is a simple and easy-to-learn SSG that gets you up-and-running in no time. This simplicity made adding support for VuePress a lot more manageable. Additionally, since it generates content from markdown files with YAML front matter, it’s a great fit for our existing editor. This is a big announcement for us and we’re looking forward to hearing what you have to say about it. Feel free to reach out to us via the Support section in your sidebar, on Twitter or our Slack Community. Now, let me walk you through importing your first VuePress project in two steps. You don't have a VuePress Project? Please note that the VuePress support is currently still in beta. Certain features such as previews are not available at this point. 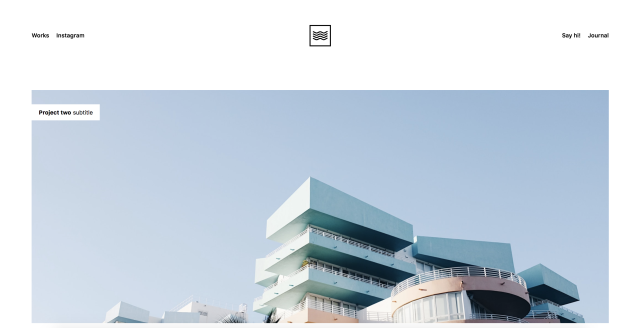 You can now select your VuePress project in our options when you add a new site. After your import, we’ll ask you to configure your sidebar. Simply go to Settings and select the Sidebar tab. Check out the docs for more information. 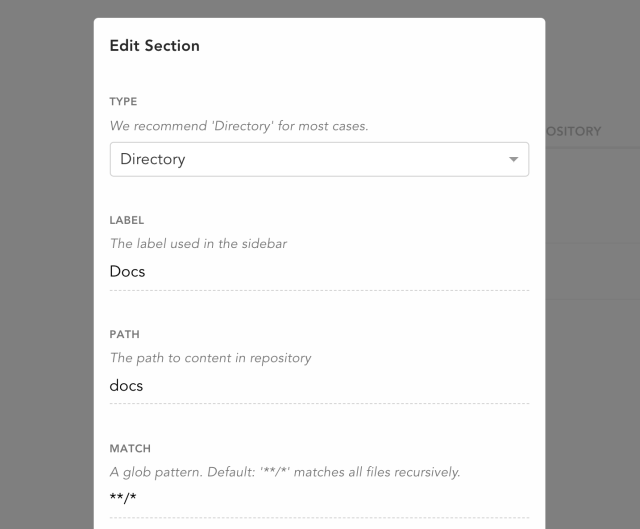 You can reset previous configurations by removing .forestry/settings.yml and reimporting your site under Settings selecting the Repository tab. You can check out a full list of changes, bug fixes and upgrades in our changelogs. We’re looking forward to hearing your feedback and suggestions on how we can make your experience better. If you like this, please consider telling your friends about it on Twitter 🐦, in chats 💬 or over coffee ☕. Subscribe to our newsletter to get the posts directly in your inbox.